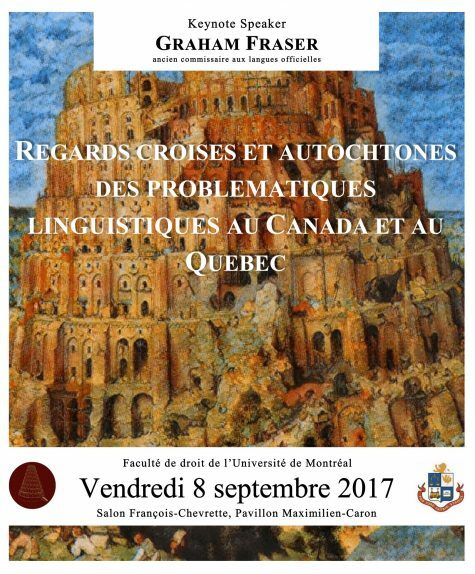 Rendered before the Canadian Charter, this decision seeks to determine whether, under section 3 of the Official Languages ​​Act, a Certificate of Analysis and a Notice of Intention to Produce Certificate issued under section 237 (b) of the Criminal Code must be written both in French and in English. Mr. Saulnier is arrested by a police officer for driving with a blood alcohol level over 80 mg of alcohol / 100ml of blood, contrary to section 236 (1) of the Criminal Code. The trial judge of the Supreme Court of Nova Scotia acquits Mr. Saulnier. In his decision, the judge finds that the certificate and the notice issued to the respondent are not admissible in evidence because they were not been provided in French as well as in English. The Crown appeals that judgment. "Did the trial judge “err in holding that a Certificate of Analysis and a Notice of Intention to Produce Certificate should be provided to the Respondent in French as well as in English in order to be admissible as evidence against the Respondent?" In a short decision, the Court holds that a Notice of Intention to Produce Certificate is not covered by section 3 of the Official Languages ​​Act because it is a notice addressing an accused and not the public. Moreover, the Court considers that section 3 of the Official Languages ​​Act is not applicable to Certificates of Analysis, since the issuance of these certificates is a service and therefore cannot be "promulgated", as are the terms in section 3 of the Official Languages ​​Act. Hence, the Court sets aside the acquittal and remits the matter to a trial judge to hold another trial for disposition of the criminal charges against the respondent. This decision focuses on the extent of the remedial power of the judges set down in section 24 (1) of the Canadian Charter. The interest of this decision lies in the context of the rapid assimilation that took place in Nova-Scotia and the urgent need to respond to the demands of the linguistic minority of the province. As communicated in the first instance, the judge recognized a violation of section 23 of the Canadian Charter, as the government delayed their obligation to establish francophone education institutions for the linguistic minority in Nova-Scotia. The judge obligates the province to do everything possible in order to respect the court order. He adds that "[...] the Court shall retain jurisdiction to hear reports from the Respondents respecting the Respondents’ compliance with this Order." Nova-Scotia upholds that this remedy can contravene with the established principle of functus officio, according to which a court's duty or authority comes to an end once the final judgment is made. "Does the judges remedial power established by section 24 (1) of the Canadian Charter permit a trial judge to declare him or herself competent to hear the province's reports on the efforts employed to offer instruction to the linguistic minority? The issue at hand is to rule on the scope of this remedial power conferred by section 24 (1) of the Canadian Charter." The remedy accorded in the first instance is adequate considering the circumstances. Indeed, within the context of the rapid assimilation of Francophones in Nova-Scotia, and the province's delay to provide educational institutions for the linguistic minority, the remedy is just and appropriate. The courts must provide effective remedies that are adapted to the circumstances in order to fully protect the rights and liberties protected by the Charter. The remedy accorded permits an effective protection of the minority language education rights guaranteed by section 23 of the Canadian Charter. This case concerns the violation of Section 3 of the Canadian Charter regarding the concept of «effective representation». The Nova Scotia Court of Appeal discusses the possibility of saving such an infringement through section 1 of the Canadian. In 2012, the Nova Scotia government revised the province’s electoral boundaries, to abolish the electoral districts of Clare, Argyle and Richmond, as they are less populated than the average riding. This change responds to the final report of Electoral Boundaries Commission, which had to follow the Attorney General of the province’s requests, although it disagreed with this action. These districts were created following the recommendations made by the Commission, which wanted to encourage the participation and a better representation of Acadians. Does section 1 of the Nova Scotia’s House of Assembly Act which abolishes the electoral districts of Clare, Argyle and Richmond, where linguistic minorities are situated, violate section 3 of the Canadian Charter? If the answer to question 1 is ‘yes’, is the impugned legislation saved by operation of section 1 of the Canadian Charter? In order to respect section 3 of the Canadian Charter, Nova Scotia’s House of Assembly Act must not violate the right to effective representation. This right aims to obtain a certain balance between voter parity and a representation of cultural and linguistic minorities. «The administration authorized to fashion the boundaries must take these factors into consideration, which was prevented by the Attorney General’s intervention in the Commissions’ affairs. The abolition of the three districts could jeopardize the protection of these minorities’ rights. Therefore, this provision violates section 3 of the Canadian Charter. The impugned legislation cannot be saved by the Oakes test, because it is not rationally connected to the real and urgent legislative objective of insuring parity of voting power between ridings and is not a minimal impairment. This content has been updated on 1 April 2017 at 13 h 18 min.